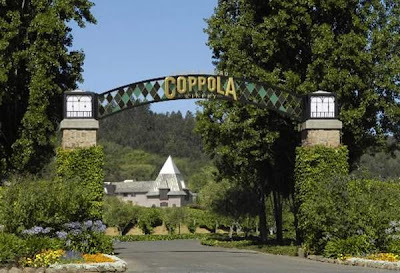 I predict that the new Francis Ford Coppola Winery in Sonoma County's Alexander Valley will start a trend for what may come to be known as “Lifestyle Wineries.” This isn’t just a winery: it’s a Destination. And it’s one that the entire family can enjoy. 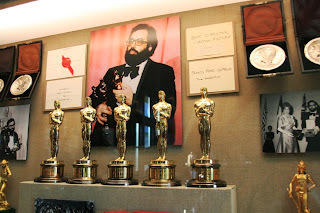 From now through fall, this latest Coppola production is having a "Dress Rehearsal." A few parts of the “Pleasure Grounds” aren’t yet open, but most of it is up and running in style. It's a good time to come, because many activities that will charge a fee next year are free from now through the end of 2010. I was there two nights ago for a media launch and came away thoroughly impressed at the way this gigantic undertaking has succeeded. With so many elements involved—wine tasting bars, a full-service restaurant and two casual eateries, entertainment venues, recreational facilities—something could easily have gone wrong or at least turned out to be disappointing. But that hasn't happened. Not by a long shot. We dined on the restaurant's terrace (the restaurant's official name: Rustic, Francis’s Favorites). Plate after plate of perfectly-prepared food kept arriving at the table: Braciole with Rigatoni in Meat Ragu, Mrs. Scorcese's Lemon Chicken, Cho Cho Salad, Pizza Luigino, Pine Nut Tart, Chocolate Mousse al "Francis Francis." Each dish has a personal history; for instance, Martin Scorcese's mother used to serve the lemon chicken dish decades ago to the two young men. The food was paired with Coppola's excellent wines (and, yes, the long-awaited Archimedes lives up to its hype). From the patio, grape fields extended endlessly into the surround of Alexander Valley. As we dined the sun set, the skies darkened, the stars came out. When it was full-on night we saw only a scattering of lights up and down the valley floor. It was, truly, a rustic setting. 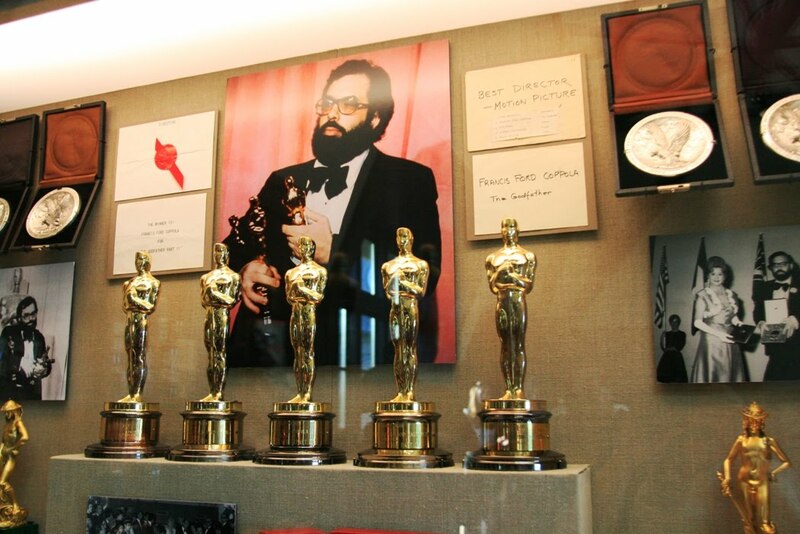 Coppola drew on the talents of Academy Award-winning production designer Dean Tavoularis to help design the winery, which manages to possess both a modern sensibility and a fantastical quality. The winery is constructed in such a way that it seems to embrace the huge courtyard, where the swimming pools and other recreational activities reside. Two swimming pools connected by a water-jet “swim through,” for a combined 3,600 square feet; certified lifeguards are on duty. Cabines—28 Euro-styled personal changing rooms—can be rented for the day, giving visitors a secure and private place to store personal items, change clothes, etc. Each cabine has its own shower and comes with a reserved poolside chaise lounge. The Pavilion, inspired by the band shell in The Godfather, Part II, is the “stage” for various forms of musical and theatrical performances, seminars, star-gazing evenings, and so on. Fun & Games include four Bocce Ball courts surrounded by landscaped lawns; and dedicated tables for backgammon, chess, and checkers. Kids’ entertainment and events are frequently on the agenda. At the ongoing Smoothie Tastings, kids learn to identify different flavors and aromas in their smoothies (all receive prizes at the end). Events throughout the year include the Vineyard Easter Egg Hunt, an Earth Day celebration, a Petite Picasso art happening, and a Harvest/Halloween Carnival. Also on the agenda: stage performances geared to children. 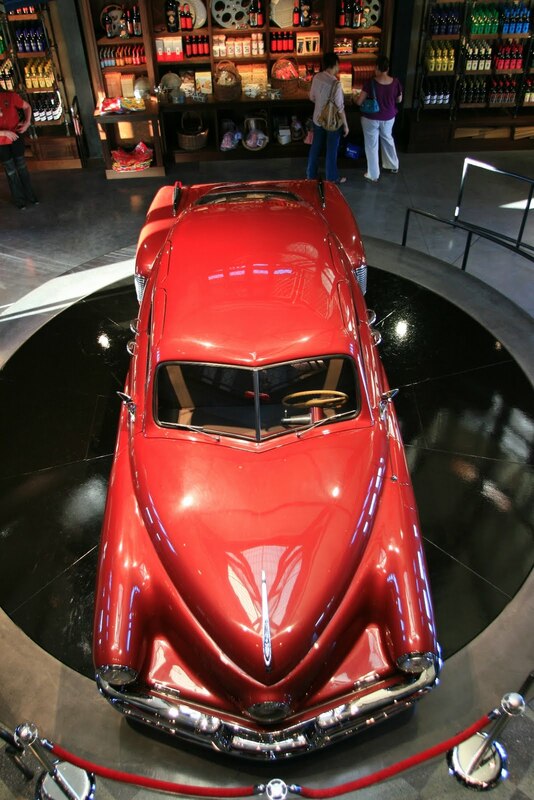 The Movie Gallery displays major items from Coppola’s film career: five Academy Award statuettes, Don Corleone’s desk from The Godfather, and the original 1948 Tucker automobile used in Tucker: The Man and His Dream. Plenty of winery tours, wine seminars and educational classes, winemaker for a day blending seminar, etc. 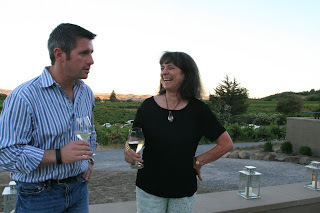 Wine tastings are reasonably priced (and for Coppola’s Rosso & BIanco brand, tastings are free). The “Family Tasting” lets you sample 3 wines for $5, while the “Neighbors Tasting” is $10 for four higher-end wines. A taste of the limited production Archimedes is $4. With a Wine Family Membership, bottles can be purchased at steep discount (e.g., Archimedes for $35 instead of $60, Francis Ford Coppola Presents Rosso Shiraz for $8.40 instead of $12). The main restaurant, Rustic, seats guests inside the dining room or on the terrace overlooking gorgeous Alexander Valley. The menu is international, with an emphasis on Italian recipes and foods prepared on the Argentine parilla grill. On Sunday evenings the restaurant serves “a tavola” – that is, family style. Rustic also gives options for wine-and-food pairing. The open-sided Pool Café offers simple fare: salads, paninis, etc. The full-service Rustic Bar serves everything from aperitifs and wine to cocktails and espresso. 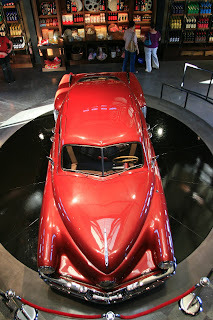 The best way to sum up the new Francis Ford Coppola Winery is to once again defer to it's creator. When asked how he wanted people to think about the winery, Coppola said that it should be "a pleasure to anticipate, a pleasure to visit, and a pleasure to remember."